So how is Aviva doing? Aviva, according to their website, is the largest insurance group in the UK (and the sixth-largest in the world), employing over 36,000 people and insuring over 44 million customers worldwide. 2008 saw Aviva making a loss of £915 million, which coincided with the group reporting results for the first time on the now market-consistent 'embedded value basis' that all insurers must now use. However the main negative is the level of debt (at nearly £15 billion), giving a debt-to-equity ratio of 115%. Interest coverage is only rated 'acceptable' at 3.9 (taking into account interest on structural and operational borrowings). Aviva announced debt reduction of more than the £700 million early in 2011 but probably needs to do a lot more. Aviva's holdings are mainly financial assets, including much of the FTSE 100. However - as the Smart Investor argues, the FTSE 100 does not offer the value which Aviva does, whether that is measured on yield, free cash flow, price to earnings or price to book. As a mainly financial business, Aviva remains vulnerable to a potential European financial meltdown; but otherwise at the moment it looks a great opportunity to lock in a great yield. As I have a fairly large investment already, I will continue to HOLD. Update (June 2012): Broker considers gloomy view of Aviva's Italian government bond holdings is overdone. 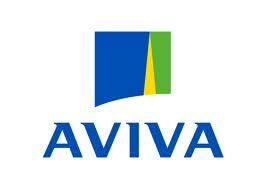 Update (July 2012): Is Aviva heading for a dividend cut?